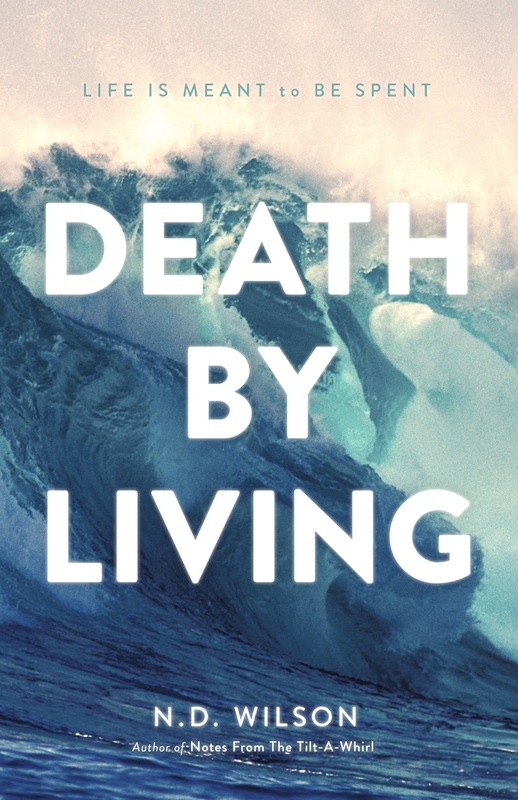 Death by Living is a follow-up to N.D. Wilson’s critically acclaimed Notes from the Tilt-A-Whirl. While Notes focused on a way of seeing life, Death by Living focuses on a way of living life. Wilson reminds each of us that to truly live we must recognize that we are dying. Every second we create more of our past—more decisions, more breathing, more love and more loathing. This book sounded really good when I got the review offer for it, so I signed up for it. I really hate to give it a negative review, but I had a hard time getting into it. The author's style of writing seemed very disjointed to me, with him jumping from topic to topic and discussing very mundane things from his life. I even had a hard time understanding the point of the book. It is very possible it is just me, as the book has several 5-star reviews on Amazon, so this is a book that I am not going to recommend not reading, as other people obviously loved it. It just wasn't something I enjoyed. 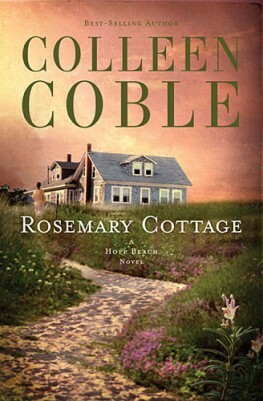 languages) and the acclaimed Ashtown Burials series (both from Random House). Notes from the Tilt-a-Whirl was adapted into the widely distributed "bookumentary" film of the same name. He was born and raised in Moscow, Idaho, where he currently lives with his wife and their five young kids (along with two tortoises and a snake). He is a Fellow of Literature at New Saint Andrews College, where he teaches freshmen how to play with words. How does a boy become a man of character? · Martin Luther King Jr.
With the understanding gleaned from this insightful book, you can positively influence your son's life--in a way that will last him a lifetime. 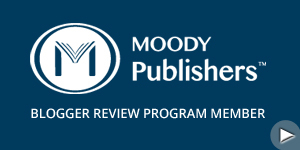 I don't have any kids, nor will I likely ever have any, but I still like to review books like these once in a while to see what is out there to recommend to others, and to help get the word out about books like these. 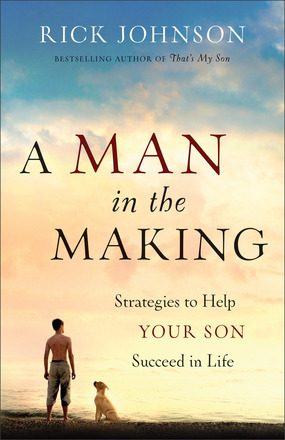 This book was written as a help for parents in raising their sons to turn out to the men they should be. I have read a few books like this, and this is one of the best ones I have read. In each chapter, the author takes a well known man of character and a character trait that stood out in them. He discusses briefly the man, then goes on to expound more on the character trait and how to instill it in boys. The book is not just a helpful tool, it is an interesting read, and I found the idea of using men from history to help show the value of each character trait an excellent idea and it makes the book even easier to glean helpful information from. I would recommend this book for any parents that have sons they are trying to raise right. Rick Johnson is a bestselling author of That's My Son; That's My Teenage Son; That's My Girl; Better Dads, Stronger Sons; and Becoming Your Spouse's Better Half. He is the founder of Better Dads and is a sought-after speaker at many large parenting and marriage conferences across the United States and Canada. Rick, his wife, Suzanne, and their grown children live in Oregon. To find out more about Rick Johnson, visit www.betterdads.net. The prophecy brought them together---to fight for the hearts of others and set them free. The four members of Warriors Riding have learned to wage war in the supernatural, to send their spirits inside people's souls, to battle demonic forces, and to bring deep healing to those around them. But their leader Reece is struggling with the loss of his sight. Brandon is being stalked at his concerts by a man in the shadows. Dana's career is threatening to bury her. And Marcus questions his sanity as he seems to be slipping in and out of alternate realities. And now the second part of the prophecy has come true. The Wolf is hunting them and has set his trap. He circles, feeding on his supernatural hate of all they stand for. And he won't stop until he brings utter destruction to their bodies . . . and their souls. The first book in this series, Soul's Gate, was so good that I didn't have high hopes of the second book being as good, but once again James Rubart knocks one out of the park. Even though this is the second book in a series, and a continuation of the story in the first book, it is also a lot different and just as good as the first. The same characters are again front and center that we have come to know and love, and they face even more and stronger trials and fights. The day I got this book in the mail, I sat down and started to read it and I could not put it down. This is a truly awesome and exciting read and I had to read through til the end. As with any James Rubart book, it is so much more than "fluff", but is as meaningful as non-fiction books. As with the first book, spiritual warfare plays a big part in the book, and it is a sobering reminder of how hard the devil fights Christians, and how we all need to be more on guard and pray even more than we do. Not everything that happened in the book was good, but it was a remarkable read and I thoroughly enjoyed the experience of reading it. I am definitely looking forward to the next, and I assume conclusion to the series. James L. Rubart is a professional marketer, speaker, and writer. 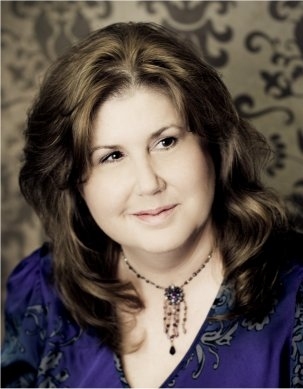 While being the owner of Rooms, won a Best Books 2011 award from USA Book News, as well as a Romantic Times Book Reviews Reviewers Choice Award. 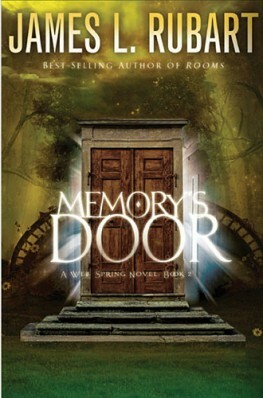 His debut release was followed by Book of Days, The Chair, and Soul's Gate. 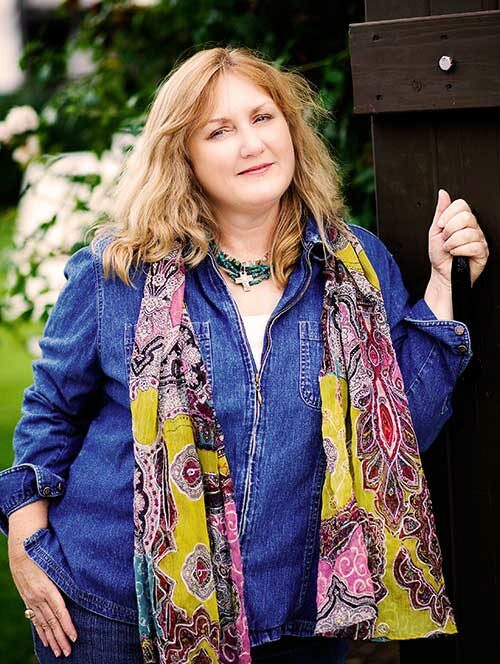 In addition to being an author, Rubart is also a photographer, guitarist, professional speaker, golfer and semi-pro magician. With all of this, he says that he barely sleeps. 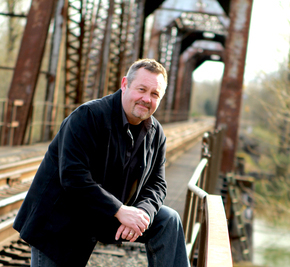 Rubart lives with his wife and sons in the Pacific Northwest. 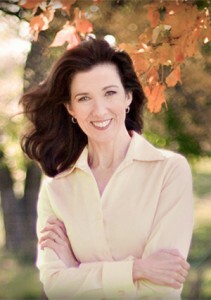 To keep up with James L. Rubart, visit www.jimrubart.com. Enter today by clicking one of the icons below. But hurry, the giveaway ends on September 7th. All winners will be announced September 9th at James' blog. It isn't often I review a book that I am totally disappointed in, but this was a book that falls into that category. I thought the book sounded good and might be a helpful book, but the author went overboard with his "not under the law" ideas. He had me confused for most of the book on what he was trying to say, and seemed to give the idea that Jesus wiped out the ten commandments. I found myself disagreeing more than agreeing, and would not recommend this book. Derek Prince (1915-2003) is the author of more than 50 books and 600 audio and 100 video teachings, many of which have been translated and published in more than 100 languages. He founded Derek Prince Ministries International, and his daily radio broadcast, Derek Prince Legacy Radio, still reaches listeners around the world. His concise way of explaining the Bible has helped millions build a foundation of faith. 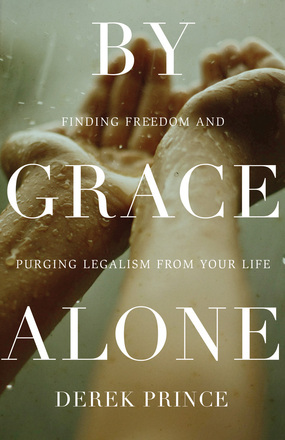 By Grace Alone is available from Chosen Publishing, a division of Baker Publishing Group. Thanks to Chosen for the review copy. A Bible story for every day—365 of the best-loved Bible stories fully illustrated in a classic style will become favorites for children and parents alike, with each story divided into easy-to-read sections with the day, heading, and Scripture reference. Children are encouraged to spend family time together reading a new story each day. 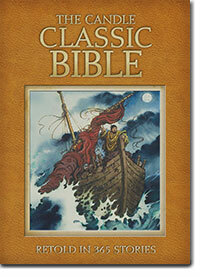 New Testament: From John the Baptist to the story of Jesus, to the story of the Apostles, to John’s Vision of Heaven. This Bible/Bible storybook is set up with 365 stories so one can be read every day of the year. In my opinion, it is geared for younger kids, as the stories are short. Very short. Almost too short, but then if you're reading them to small children, short is good. There are a lot of stories covered, and a lot said in the condensed stories. There are also a lot of pictures that are very well done and kids will love. I have seen Bible storybooks that were more detailed, but if you're wanting one that can be used daily, then this would make an excellent tool for family devotions with small kids. The stories are short, but they are well written and kids will love them. How well do you actually know God? Do you see Him as an absentee landlord? A distant deity? An old man in the clouds? Have you heard Him laugh? Have you experienced Him as jealous, protective or wildly loving? Have you seen Him weep for His people or felt His bone-crushing embrace? Do you believe these things are even possible? Maybe you've been settling for a caricature of God. In this poignant and down-to-earth book, popular filmmaker Darren Wilson takes a closer look at God by looking at the way He treats His friends. Through modern-day stories of supernatural experiences and an astonishingly fresh take on familiar Bible stories, you'll get to know God in a way you never imagined. Learn to hear the thundering beauty of His voice, and begin your own crazy, life-changing friendship with your Creator. 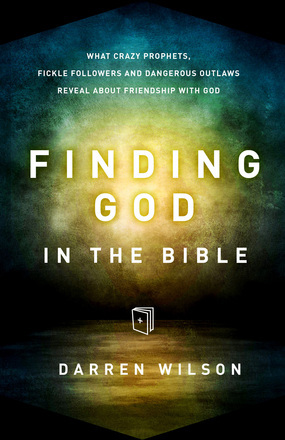 By all appearances, this may seem like an odd title for a book: Finding God in the Bible. The Bible is all about Him, and it is His Word, so who needs to find God in the Bible of all places? A more apt description of the book would be finding God's character in the Bible. Wilson pulls up several characters in the Bible, all familiar to us, and takes a fresh and unique look at them and their relationship with God. Wilson weaves all of the stories together to show us the character of God and gets to the ultimate point of his book, which is what God wants with all of us: a relationship. I'm a guy who has struggled all of my life with the wrong view of what God is like, and I found this book refreshing and helpful. The author does a great job of not just giving a unique perspective on several Bible stories that are old hat to most of us, but also does a great job of bringing the truth home of what God is all about, wanting a relationship with us, and not just a relationship, but friendship. Some non-fiction books are easier to read than others, and this definitely falls into the easy to read category. It doesn't belabor heavy theological or doctrinal truths, but in a simple and interesting way makes the reader want a real relationship with God, not just a shallow religion of serving a far off God, and gives us a look at some of the Biblical characters who were God's friends. I would definitely recommend this book. It is worth reading and re-reading. 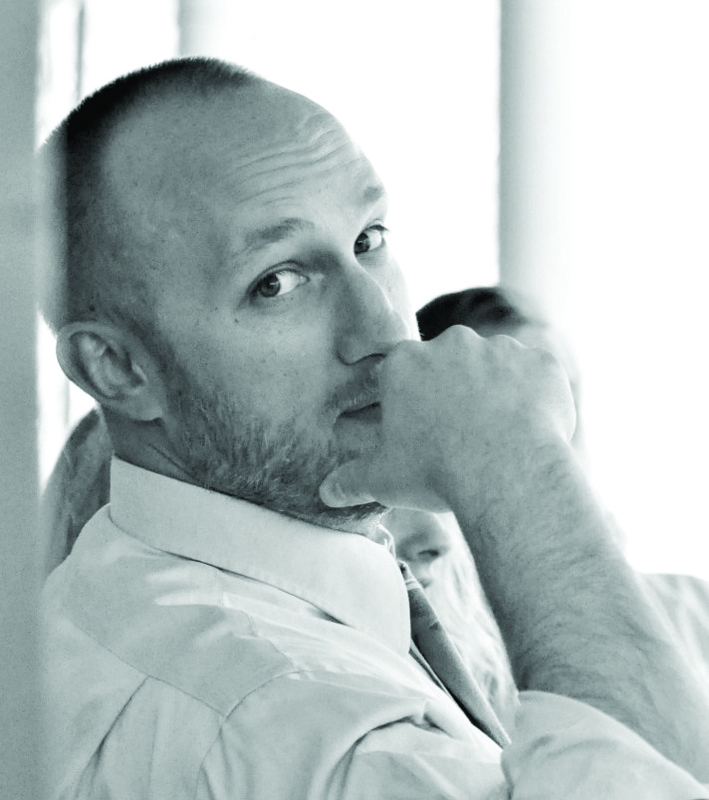 Darren Wilson is the founder of Wanderlust Productions. 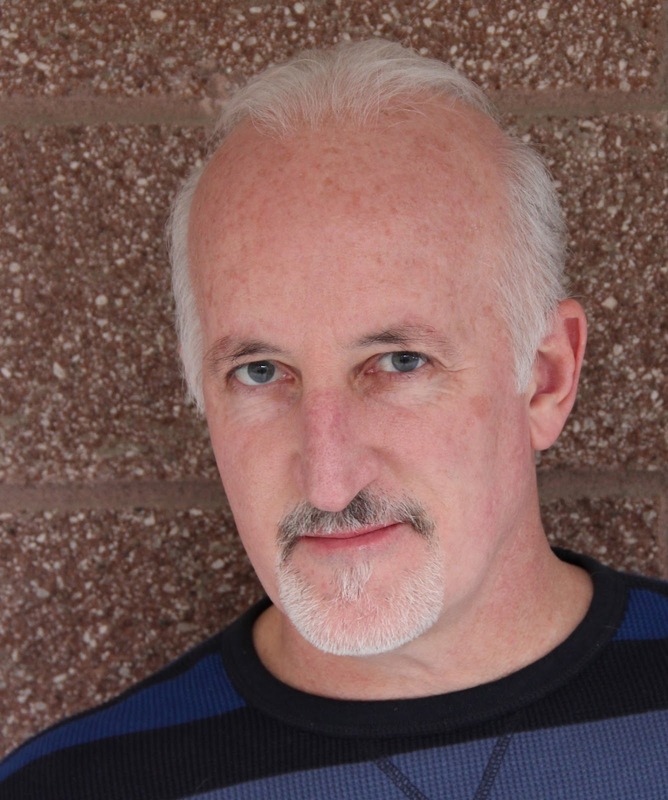 He has an MFA in screenwriting from Regent University. 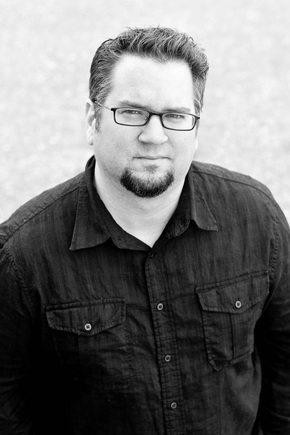 Wilson is currently the artist-in-residence at Judson University, and he speaks at churches and conferences with increasing regularity. He is the director of the feature films Finger of God, Furious Love, and the newly released Father of Lights and The Greatest Flight. Wilson has been interviewed on It's Supernatural! with Sid Roth, and he was recently named one of the "21 Emerging Leaders of Tomorrow's Church" by Charisma magazine. He and his wife, Jenell, have three children and live near Chicago, Illinois. Learn more at www.wpfilm.com. Finding God in the Bible is available from Chosen Books, a division of Baker Publishing Group. After his many adventures, Jack Hawthorne has finally settled down. Married to Espy, and with two sons, he's content to live the life of a mild-mannered university professor. That all changes when someone discovers the secret of the prophet's bones Jack buried in the desert thirteen years ago. With just a single phone call, Jack's back on the run...with even more at stake than ever before. Determined not to risk the lives of his family, he knows the only way to finally be safe is to deliver the bones once and for all. Except they aren't there. Someone got to the unmarked grave in the Australian outback first, leaving Jack and Espy empty-handed. Desperate, the two begin another globe-spanning race, following the tiniest of clues, to find the one thing that will either save their family or tear apart everything they hold dear. 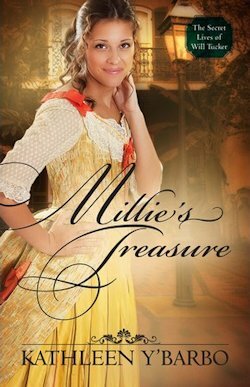 I love books that revolve around some kind of treasure hunting, and this series does exactly that. They are very similar to the Indiana Jones stories, but also different. I haven't yet read Elisha's Bones, which is the first book in this series, but enough reference is made to it that you don't need to read it before you read the other two books. In this book, Jack and Espy are now married with two sons and have to go globe trotting to track down the bones of Elisha again, but this time the stakes are much higher. I won't say how, as that would be a spoiler, but the book is another page turning, suspenseful novel with all kinds of surprises, twists, and danger. As so often with a book like this, I found myself so totally engrossed in it, that I kept reading until I came to the very satisfying conclusion. In addition to being a thrilling read, the book is also a great reminder that God can always be trusted and always works things out for our best. 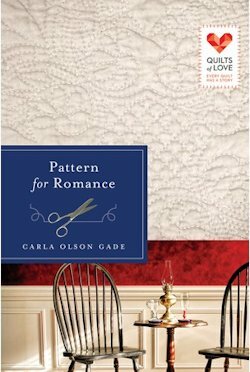 I totally loved this book, and enjoyed every page of it. I did have one issue with the book: It bothers me when a Christian author has a Christian character smoking, and that happens in this book. Other than that, it is a masterpiece of a treasure hunting suspense novel that I highly recommend. Bones, is free on Amazon.com for the Kindle. I have no idea how long it will be free. 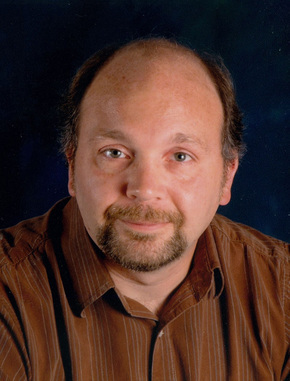 Don Hoesel is a Web site designer for a Medicare carrier in Nashville, TN. He has a BA in Mass Communication from Taylor University and has published short fiction in Relief Journal. He lives in Spring Hill, Tennessee, with his wife and two children. Blood and Bone is his fifth novel. 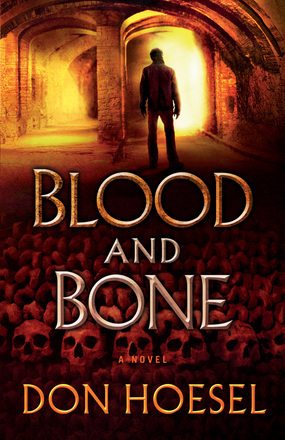 Blood and Bone is available from Bethany House Publishers. 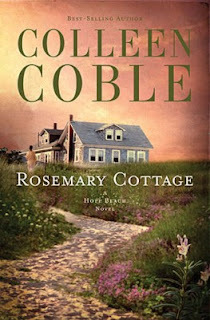 Thanks to Bethany House for the review copy. 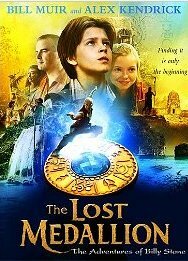 I viewed the movie The Lost Medallion a couple of months ago, and loved it. I almost passed on the book since I had seen the movie, but am glad I got it to review. The book has a lot of content not in the movie, and brings more about the characters than the movie did. Even though I had seen the movie, I enjoyed the book and found it an interesting read, even though it was written for kids. I appreciate the focus of the book on the fact that we are all valuable to God, no matter who we are or our station in life, and that He is the ultimate prize we can possess and have in our life. My hat is off to this author for being a female and writing a series with a male as the main character. This was one of those books that I thought sounded good, but after it came, I was dubious - the cover didn't exactly grab me and make me want to read it, but I picked it up one evening and started reading it, and was glad I did. This was different from my usual fare of suspense/mystery. It is set in the 1930's, without our modern ways of solving crime and all the electronic gadgets we have, so that made for an interesting read with that factoring in alone. 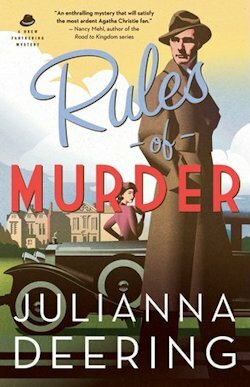 This book was compared to Agatha Christie's books. 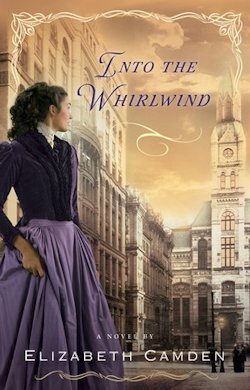 I didn't read many of hers, but I did read a lot of Sherlock Holmes, and this book was a bit reminiscent of those books. I liked the characters Deering has created, with the exception of the airheaded society girls that were in the first part of the book, but I especially liked the main character, Drew, and assume from t he series title that there will be more books with his detecting skills at the forefront of the series. I did enjoy the book immensely, and found it a very enjoyable read. I do have one complaint: the author used several words from that time which I was not familiar with, and I had to look up a few that I couldn't figure the meaning out by their use. A glossary or even footnotes would have made for an easier read. Other than that, great book, and I am looking forward to more in the series. Are you a follower of Jesus? Don’t answer too quickly. In fact, you may want to read this book before you answer at all. 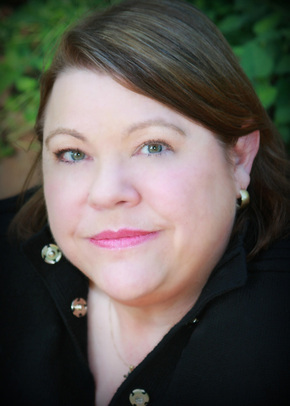 Consider it a “Define the Relationship” conversation to determine exactly where you stand. You may indeed be a passionate, fully devoted follower of Jesus. Or, you may be just a fan who admires Jesus but isn’t ready to let him cramp your style. Then again, maybe you’re not into Jesus, period. In any case, don’t take the question---Are you a follower of Jesus?---lightly. Some people don’t know what they’ve said yes to and other people don’t realize what they’ve said no to, says Pastor Kyle Idleman. But Jesus is ready to clearly define the relationship he wants with his followers. Not a Fan calls you to consider the demands and rewards of being a true disciple. With frankness sprinkled with humor, Idleman invites you to live the way Jesus lived, love the way he loved, pray the way he prayed, and never give up living for the One who gave his all for you. I had the chance to review this book when it came out, but I passed it over for a fiction title. Maybe I needed it more now anyway, but after reading the author's second book and being very impressed with it, I decided I needed to read this one, and wow. Kyle really shows the difference in being a fan of Jesus and a follower of Jesus. The book is convicting and challenging. It causes the reader to examine his relationship with Jesus to see if it really is a relationship, or if its something we are into when its convenient, something we do because we grew up in the church. I definitely don't read enough non-fiction, but if there were more non-fiction books like this, I'd do it more. A book that stirs me, forces me to look at my spiritual life, a book that makes me want to do better, to truly follow Jesus and not be a fan. This is most likely the best non-fiction book I have read, and may be the book outside of the Bible that will have the greatest effect on my spiritual life. I am already intending to read it again, and feel all Christians should read it. fourth largest church in America. He is the author of the award-winning and best-selling book not a fan. He is also the presenter of several video curricula, including not a fan, H2O, and the newly released study gods at war. 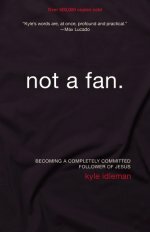 Not a Fan is available from Zondervan Publishing.